Looking for chic dresses in handloom and cotton material for the summer? Manikarnika is a boutique in Koramangala that customises clothes based on your ideas and designs! Vidhya Ramamurthy, the owner of the store is a champion of upcycling initiatives and heartily promotes fabric made in India. Apart from the handloom collection of sarees here, they have Kalamkari and Pattada Anchu handwoven cotton sarees (that are light and breezy for the summer that’s already upon us!). 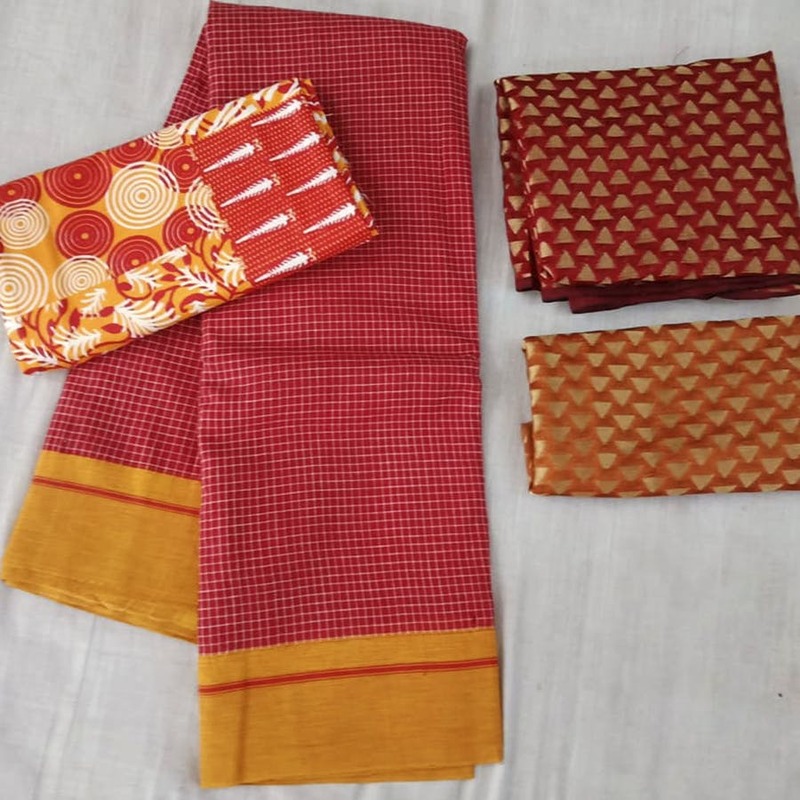 A variety of materials like Ikkat, Gamchhas and Sambalpuri are also available here, which are stored as yards of fabrics that can be converted into sarees or modern apparel depending on the look you’re going for. Apart from samples of cute skirts, jackets and crop tops that they have on shelves, you can show them some references from your Pinterest board and they will recreate it to the T. Speaking of upcycling initiatives and recycling clothes, Manikarnika is known for turning your old sarees into cute kurtis and palazzo pants, or even into comforters and soft blankets for your newborn. In case you’re clueless about what fabrics to invest in, Vidya will take you through their options and explain where the weave was sourced from (we’re looking at you, design students). Starting at INR 500 upwards, we love that the brand is innovative and affordable at the same time. Making sure they’re sustainable as a brand, they use leftover scraps of cloth to create a range of bags, pouches and potlis as well. They’re only open in between 10.30am and 3.30pm during the week and are closed on Sundays. So we suggest checking out the store during a working weekday.